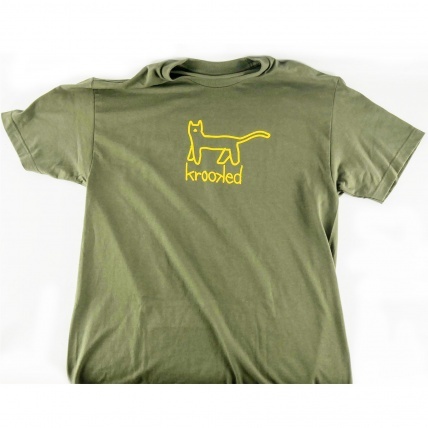 This Large Cat Tee from Krooked Skateboards is the ideal blend of both fashion and comfort. 100% cotton is durable for when it doesn't go so well.​ The ribbed neckline again is super strong, prolonging the fresh looks of this Tee, sesh after sesh. 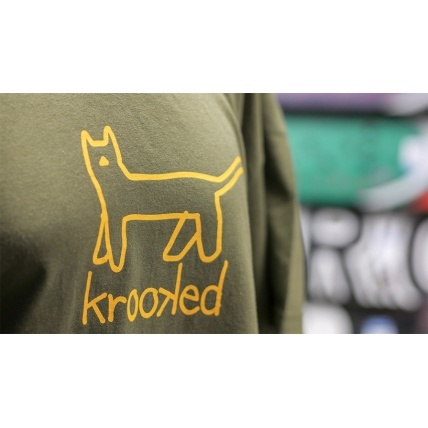 Krooked Big Kat design on the front, and plain green on the rear with Krooked detailing in the neck. No more itchy labels!